Sweat it out with these fiery dishes that range from mild to wild. 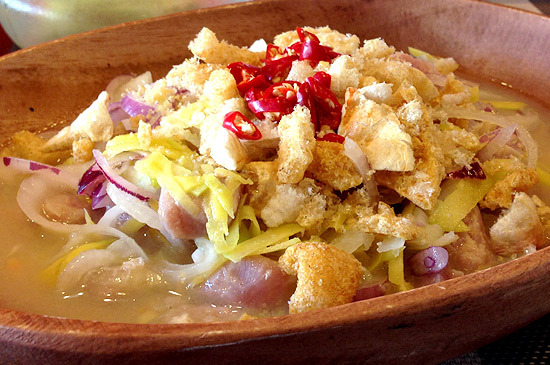 (SPOT.ph) Warm up this rainy season with the best spicy food in Manila. 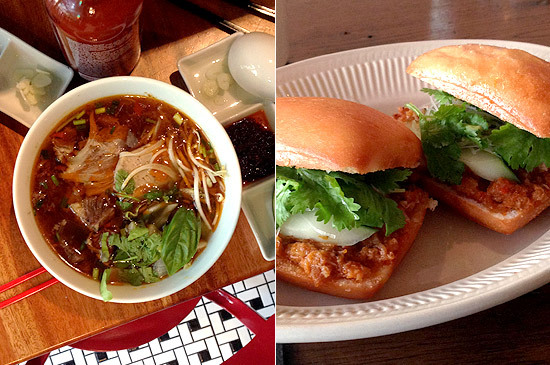 From sweltering bowls of Vietnamese soup to peppery crab buns to muy caliente street tacos, these dishes are going to make temperatures rise. The way the spices are so generously applied, you’d think the chef was angry at when he was cooking. Otherwise, Refinery’s Angry Pasta is all good feelings, with the seasoning hugging each al dente linguine so lovingly. Succulent maple sausage chunks, crispy bacon pieces, fresh mushrooms, plump cherry tomatoes, generous glugs of fine olive oil-they all come together to comfort any anguishing soul. You’re even rewarded with a lingering taste of fried pork rinds after finishing your plate. Refinery is at G/F Joya Building, Joya Drive, Rockwell, Makati City (781-0344). Want your buffalo chicken wings fix? Here's a delicious option that doesn't require much effort to consume. Your favorite wings are turned into balls, dunked in spicy buffalo sauce, and served with a scrumptious blue cheese dip. 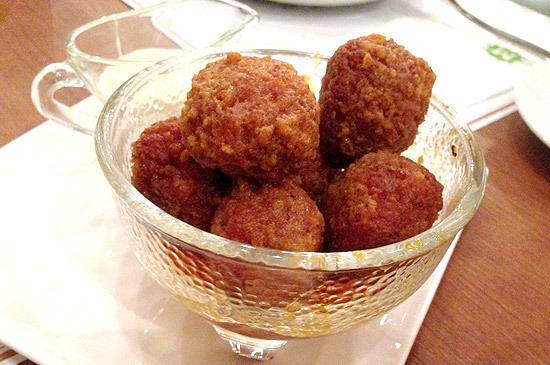 No messy, stressful bones to stop you from devouring these balls of fury. They're considered as an appetizer, but you might want to order an extra cup or two of steamed white rice to pair with it. You have to taste this to believe it! Mesclun has branches at G/F Serendra, Bonifacio Global City (954-2100); G/F Eastwood Mall, Quezon City (900-0503). This katsu haven is also a good choice for spicy-food cravings. 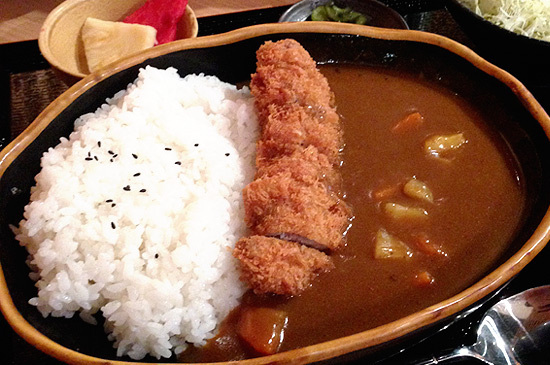 Don't think twice about getting the Menchi Katsu Curry Set. Menchi is authentic Japanese ground pork and beef mixed with special spices, stuffed with creamy cheese, and fried to golden perfection. Bathed in Yabu's special curry made with 45 ingredients and slow-cooked for three hours, it is nothing short of delicious. When the server asks for the level of heat in your curry, proudly request the very hot option. Or very very hot, if possible. Click here for a list of Yabu branches. Enter Gostoso in Kapitolyo and consider yourself warned by interiors decked in sizzling-hot red and peppered with chili drawings and spicy proclamations all over. Order the perfectly grilled chicken and you might wonder why there's no hint of spiciness whatsoever. The fun begins with Gostoso's signature sauces. Look to the poster plastered on a wall and you'll understand how hot things could get. You start with a mild, peppery sauce that's easy on the palate. Add to this an heirloom sauce that brings the spiciness up to a whole new level. The combination of sauces is great with Gostoso's grilled meats, but it can also stand on its own doused over steaming hot rice. 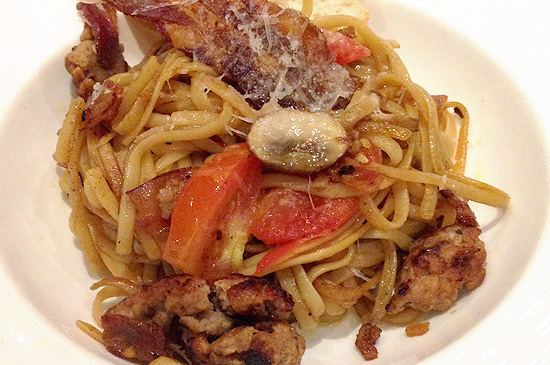 Gostoso is at 51-B East Capitol Drive, Kapitolyo Pasig City (477-7330). 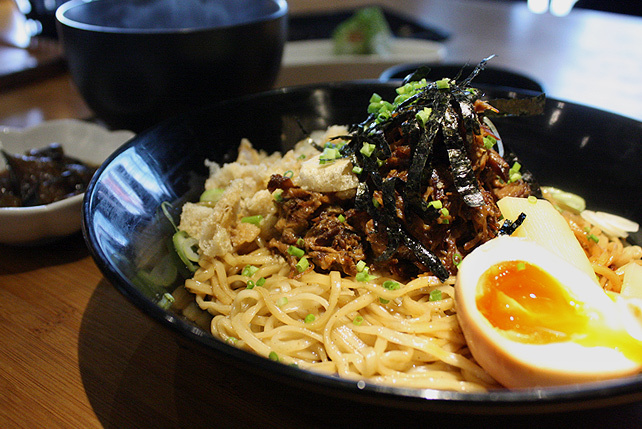 Look no further than our country's own to satisfy those spicy cravings. Patricio's Cevicheria, tucked on a side street near busy McKinley Hill, specializes in kilawin-different versions representing the whole archipelago and all packing a piquant punch. 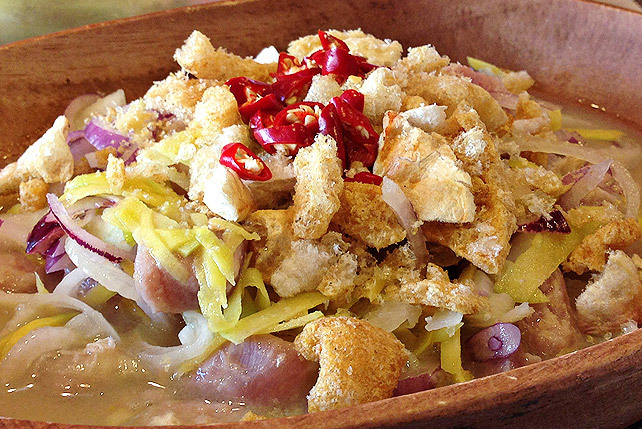 Start with Dumaguete's Binakhaw-fresh tuna chunks are combined with dungon seed, green mangoes, chicharon; tossed in a refreshing coconut vinegar blend; and topped with a heaping tablespoon of chopped siling labuyo. Our suggestion? Mix it all up and wait a few minutes to allow the flavors-and the spice-to meld before digging in. 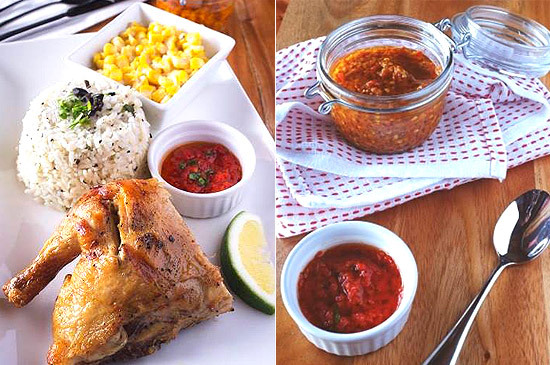 Patricio’s Cevicheria is at 28 Bayani Road, Bonifacio Global City (998-7274). How could Magnum be part of this list, you might ask? Well, if you haven't tried making your own Magnum at the Pleasure Store in SM Aura, here's another reason that will get you to troop out there and wait in line. Chili flakes. One of the toppings readily available for your pleasurable consumption is chili flakes! The sweet-spicy combo is a definite must-try. Add some saltiness to the mix by way of sea salt, potato chips, or pretzels and you've got a one-of-a-kind treat. Toss in some dried mangoes or freeze-dried raspberries and you'll be left speechless. 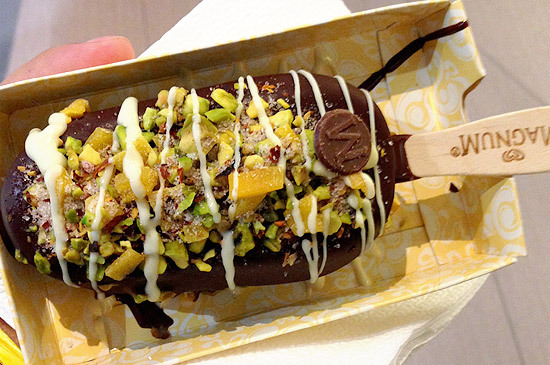 Magnum Manila is at 5/F Sky Park, SM Aura, Bonifacio Global City. 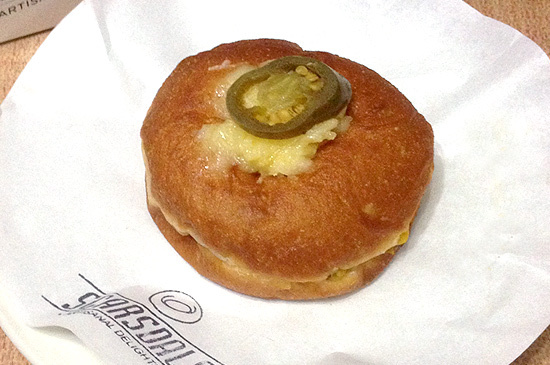 The perfect pairing of cheddar and jalapeño makes a contemporary appearance in the form of a donut. Scarsdale has come up with this ingenious treat that transcends the sweet, confectionary kind everyone's accustomed to. A fluffy, golden donut is filled with cheddar-jalapeño sauce, topped with more shredded US cheddar cheese, and crowned with a jalapeño slice (yes, with seeds intact). One bite gives you that comforting flavor and texture of warm cheddar that slowly transitions to a heady kick. Have a bottle of milk ready, just in case. Scarsdale is at 514 Shaw Boulevard, Mandaluyong City (631-7646). They don't scrimp on heat with this one. 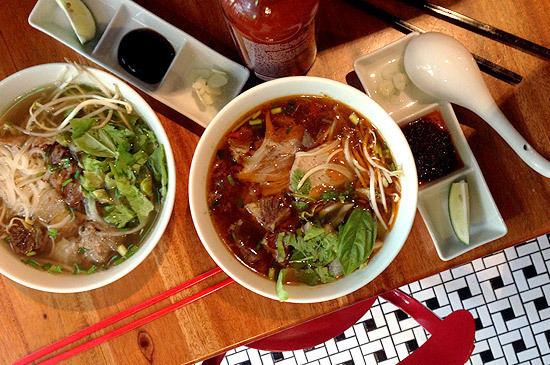 Prepare to sweat a lot with this flavorful bowl of Vietnamese goodness. First of all, it's red all over. As soon as the server puts the bowl on your table, you’ll wonder if this isn't just a bowl of chili oil studded with even more fresh chopped chilies. Get past appearances and you'll be treated to the comforting warmth of a pork-and-beef broth generously filled with rice noodles, pork knuckle slices, braised beef, beef tendon, and the assortment of customary Vietnamese herbs. PHAT Pho is at G/F Serendra, Bonifacio Global City (843-0820). From the makers of the Fried Egg Sandwich in squid ink buns, Hebi Hiam Pasta, and Salmon Donburi come these spicy sliders brimming with heated passion. It's the perfect starter to get you right smack in the center of Your Local's game. 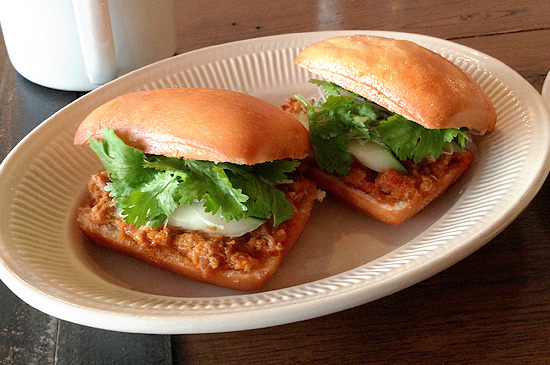 Golden fried mantou buns, pickled cucumbers, fresh cilantro? Check. But the star of this show? The Singapore-style shredded chili crab. It packs a whole lot of heat with a tinge of sweetness coming through. You’ll also get a play on textures-crisp, smooth, silky, it's all in there. Your Local is at G/F Universal LMS Building, 106 Esteban Street, Legaspi Village, Makati City (823-6206). It's all in the name. 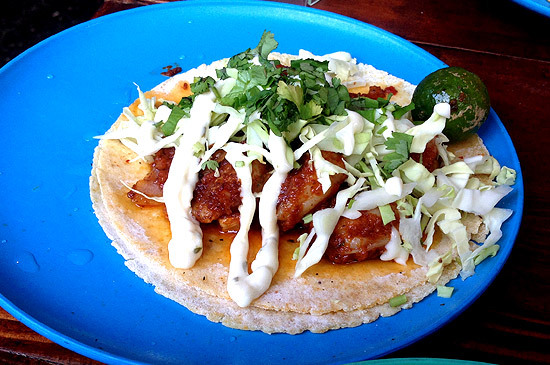 One glance at this street taco's moniker and you know right away what you're getting into. Imagine: two soft, toasted corn tortillas topped with plump, succulent, perfectly cooked shrimps tossed in spicy, oily chipotle sauce. Rounding it up is a bunch of fresh herbs, greens, and a drizzle of garlicky cream, which helps to counter all that heat. Pair it with an ice-cold bottle of beer for one hell of a meal. Hailing from a new level of Inferno, where too-hot-to-handle grub is churned out for earthlings to experience, this ironic taco is actually heaven in every bite. 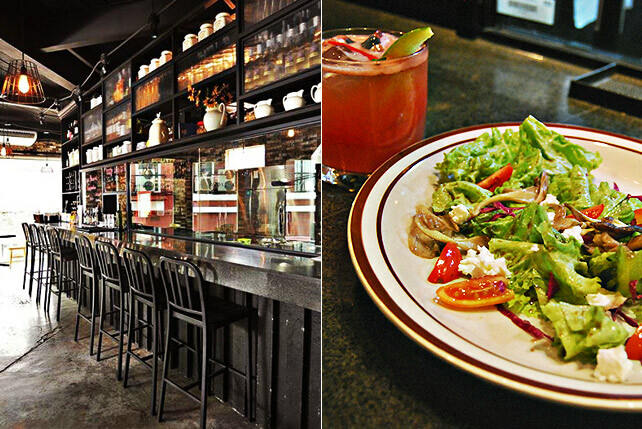 El Chupacabra is at 5782 Felipe Street corner Polaris Street, Makati City (895-1919).